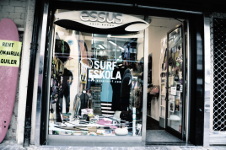 Essus Surf Eskola offers surf classes to everyone and at any level, from initiation to advance, no matter the age. 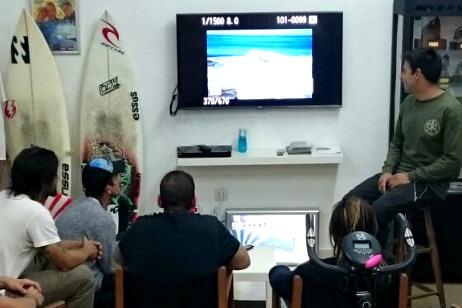 Our teachers are highly qualified and they’ve got a long and successful surf-career. The most popular option. You can choose the course that fits you better: Lessons per hours, weekend classes, weekly courses, group classes... The aim is to enjoy our sea, the waves and also to learn surfing. For kids under 15 y/o. From Monday to Friday, in the morning or in the afternoon (it is your choice). 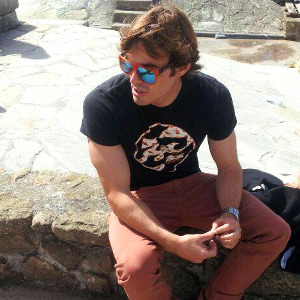 The objective is to enjoy our sea, the waves and also to introduce them into the surf. For those ones who want to accurate their surf. These specific sessions are built over specific objectives. The goal is to improve the physical condition of the surfer. If you know surfing but you’re willing to improve, this is your course. The training session is for anyone, no matter the age, neither the level of surf. Objective: to keep fit and keep improving bath to bath. 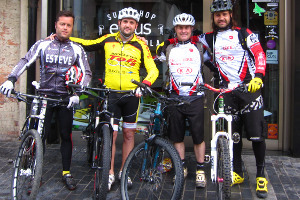 It combines a couple of hours of surf with a 3 hours bike-trip in “BTT endure” style to Pagoeta Natural Park. An unforgettable day for your muscles! For a perfect body-mind harmony this pack combines 2 hours surf course and 1 hour yoga lesson. Achieve a complete wellness. De-stress. Practical session for starter surfers. The price includes: wetsuit, board, insurance, teacher, hot water shower. Weekend: 1 h. 1/2 Saturday + 1 h. 1/2 Sunday. A total of 3 hours. A minimum of 5 people. We can arrange the group or you can bring with an organized team. Check price. For kids under 15 y/o. The aim is to have fun, enjoy the sea, enjoy surfing and to take care of our environment. Basic knowledge and use of material. Recording and watching the lessons. We’ve got a room to watch films and chill out! Recording and analysing the session. 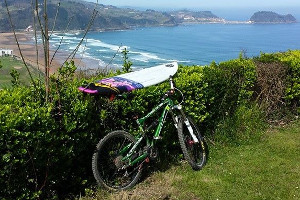 It combines a couple of hours of surf with a 3 hours bike-tripe in “BTT endure” style to the Pagoeta Natural Park. Check Price and availability. Depends on the groups. For a perfect body-mind harmony this pack combines 2 hours surf course and 1 hour yoga lesson. Achieve a complete wellness. De-stress. Elaboration of a training routine for those who have notions of surf and are willing to improve. These lessons are for everyone, no matter the level. The session will be recorded so afterward we can check it and detect what we can do to improve. GROUP. 2 TIMES A WEEK. 16:00 – 17:30 (depending the waves). It’s your choice. Afternoons with snack! 2 days (week) – 1,5 h. (day) – 4 weeks = 115 €. 4 Saturdays a month – 3 h. (day) = 130 € kids / 150 € adults. Saturdays 3 h. = 35 € kids / 45 € adults. ¿Pensando en venir al norte a hacer surf? 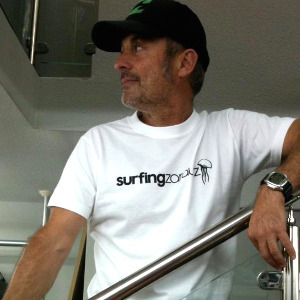 Pionero del surf en Zarautz, lleva surfeando desde 1978. Aficionado a la izquierda de Karramarro. Aprende con el los mejores trucos en sus “masterclass” y además siempre te aconsejara con toda su profesionalidad a elegir la tabla adecuada para tu surf. 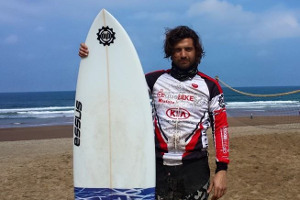 Ex competidor profesional, ha viajado por todo el mundo en busca de las mejores olas. Comenzó su andadura en el surf desde muy pequeño y hoy en día es un freesurfer muy reconocido. Fundadora de Essus junto con Sanse en 1986, de trato amable y cercano. 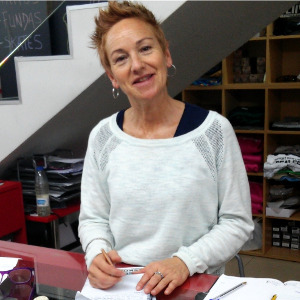 Posee una gran experiencia en la coordinación de la tienda y atención al cliente.